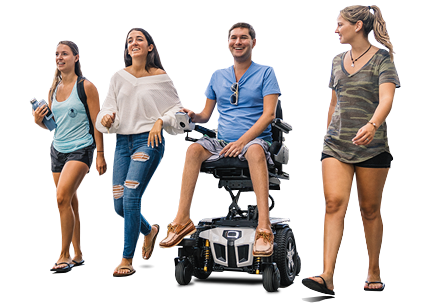 New 8" and 11" footplates are available for power articulating foot platforms on Quantum® power chairs. Options for these footplates include bell extensions, widthx extensions, and side guards to better meet your clients' needs. Additional footplate advancements from Quantum are coming soon.